"Think about what's best for your son." A24 has debuted an official trailer for the acclaimed indie drama titled Menashe, a very unique film set entirely within Brooklyn's ultra-orthodox Jewish community. The film tells the story of a widowed father of a young son, struggling to make ends meet and stay in his kid's life. His Rabbi has required that his son live with his strict uncle's family, but Menashe is given one more week to prove he's a capable parent. Starring Menashe Lustig as Menashe, and Ruben Nyborg. This was filmed in secret in the neighborhood, and is one of the few films that is entirely in Yiddish, preserving the integrity of the culture it's portraying. This is a good gem to seek out, and has a tender, charming side to it. Within Brooklyn's ultra-orthodox Jewish community, a widower named Menashe battles for custody of his son. A tender drama performed entirely in Yiddish, the film intimately explores the nature of faith and the price of parenthood. 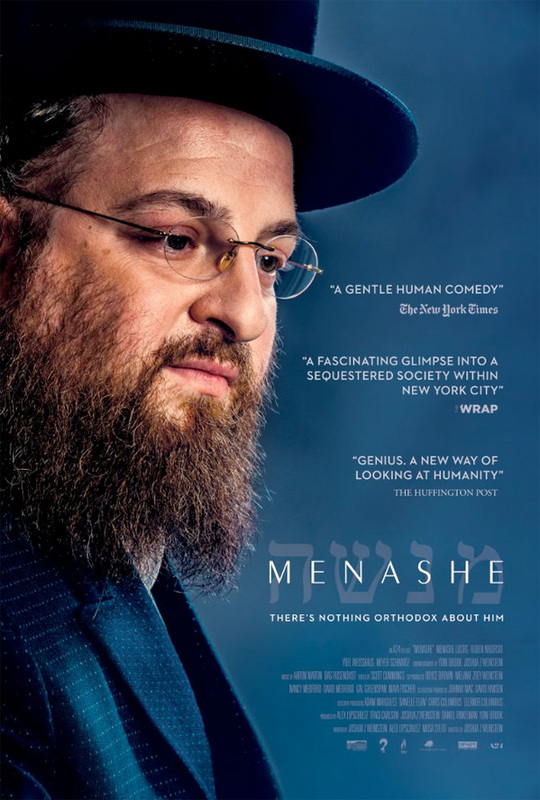 Menashe is directed by NY-based American filmmaker Joshua Z. Weinstein, making his directorial debut after a few short films previously. Weinstein also works as a camera operator, and was the cinematographer on this film as well. The screenplay is written by ​Joshua Z. Weinstein, Alex Lipschultz and Musa Syeed​. This first premiered at the Sundance Film Festival this year, and also played at Berlinale. A24 will open Weinstein's Menashe in select theaters starting July 28th this summer. Thoughts?